On Friday she flashed her $5 million engagement ring as she went solo to Barry Diller’s exclusive pre-Oscar Party for the stars in Beverly Hills. 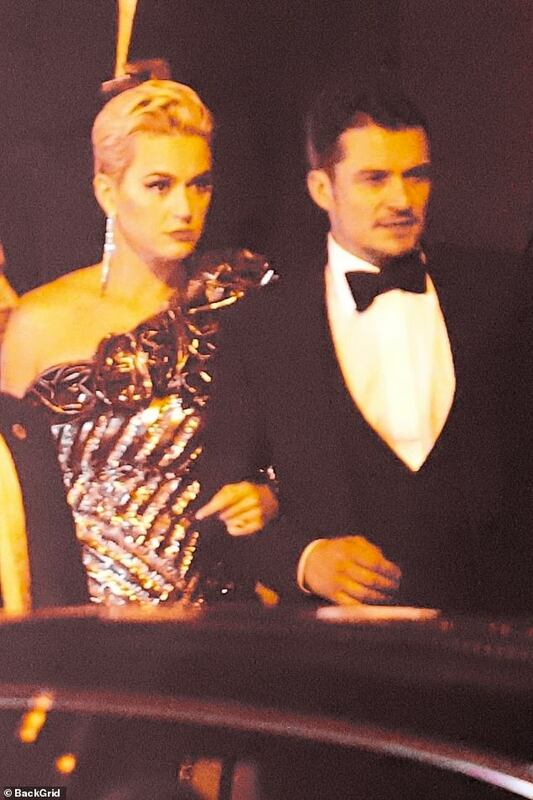 And on Sunday Katy Perry and fiance Orlando Bloom were together when they arrived at Jay Z and Beyonce‘s Oscar bash in West Hollywood. The stylish couple were perfectly dressed for the reportedly secret A-list gathering with Orlando, 42, in a smart black tuxedo, white dress shirt and bowtie. Also at the event were Rihanna, Adele, Jennifer Lopez, Jamie Foxx, Natalie Portman, Leonardo DiCaprio and Adam Driver. Katy, 34, looked devastating in a one-shoulder silver and black gown with a deep ruffle around her neckline and a thigh-high split. Her short blonde hair was styled to add height and swept back from her face as she walked arm-in-arm with her beau. She accessorized with glittering earrings…and her fabulous ruby and diamond ring. The couple surprised their fans by announcing their engagement on February 15 on social media. 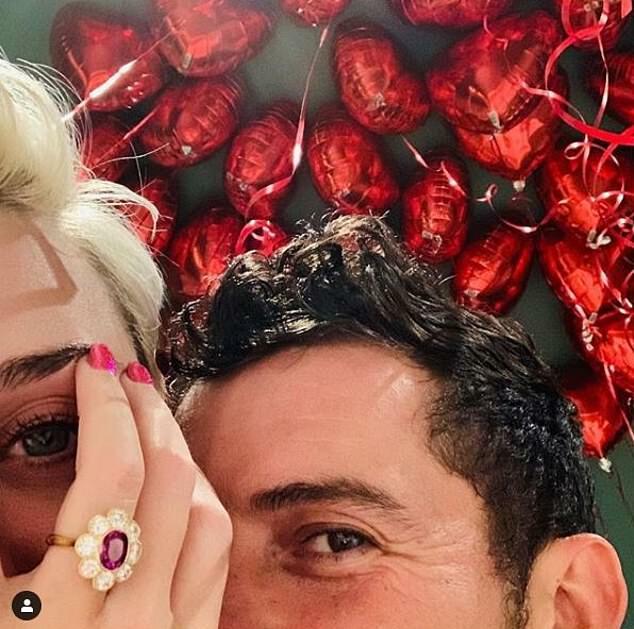 Both posted instagram snaps showing one eye and Katy’s stunning ring, against a back drop of red heart balloons. The couple first got together in January 2016 at a Golden Globes bash. But their relationship has been on-off since then. In March 2017, the stars officially took a break both of their reps told People at the time. However, they remained friends and by February 2018 they were officially back on. And now, of course, they intend to be back on for life.